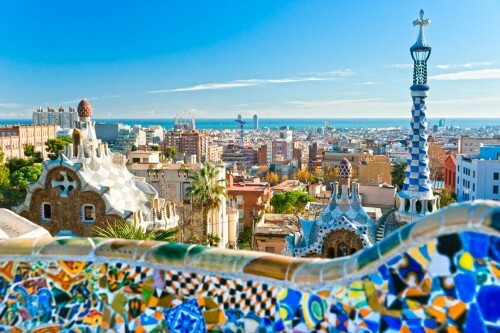 Cheap flights to Spain: Barcelona from Bratislava for only €52! Ryanair now offers really low flights in their whole network and you can use this opportunity to book flights for example to Spain. 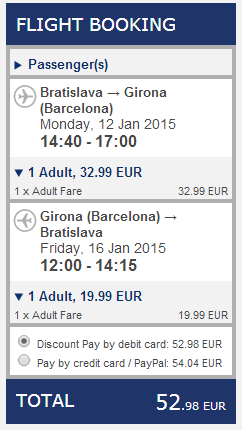 Return flights from Bratislava to Girona are available from €52.98! The price is valid if you travel with 10 kg cabin luggage up to 55 cm and one other small bag up to 35 cm and pay with debit card. There’s plenty of dates for €80 also in February, we listed just the cheapest options for you. « Cheap flights to Sri Lanka: Colombo from Prague for €413!